Online dating is a wonderful thing, with more and more couples meeting online each year. With the rigors of work and life in general, many people find online dating as an effective way to meet a potential mate. 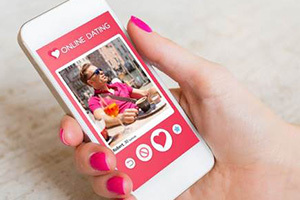 As compared to blind dates or other ways of meeting someone, online dating can be far more effective. You can sort through profiles and choose the people who interest you most, automatically bypassing the "time wasters" you might meet outside of the online world. In signing up for an online dating site, a primary thing to consider is whether you want to join a free or paid site. There are advantages to both, the most obvious of which for free sites is that they are, well, free. With no financial risk, there's very little reason to forgo signing up for a free online dating site. Of course, paid sites offer a number of benefits most free sites do not, such as extended profile viewing, extra contact ability, matchmaking services, and more. If you aren't sure whether you want to pay for online dating or not, consider trying a few free sites first. Not all free online dating sites are created equally. Look for one that offers a paid service if you want to upgrade. These sites usually have the most to offer, and since they want to lure you in to buy their pay services, they tend to offer quality free services as well. One thing to watch when searching for free sites is whether or not they are truly free. Many pay sites offer "free" services that ask for your credit card information up front. If you don't cancel the free service within a specific period of time, they charge you an arm and a leg. If you aren't ready to pay for a premium online dating service just yet, don't give away your credit card information. By using free sites that also offer premium services, you can discover which site is best for you. Sign up for a number of free sites, use the search tools and fill out your profile, then consider whether the site has something to offer you. Realize that, once you join a premium dating service, the pool of potential suitors will be of higher quality. Since free online dating sites attract so many members, they usually have a high percentage of inactive users. To obtain the very best services and really maximize your chances of finding love on the internet, you should really upgrade to a pay service.